Today I have another draw with me Tutorial for Silhouette Studio. You’ll see how I created a cute unicorn character, start to finish, in under 9 minutes- including intro and outro! I’ve created this design in Silhouette Studio Designer Edition but I -think- it is doable in the free, basic version. I’d love to hear any feedback on this matter, BTW! If I am using tools not offered in the free version, that info is helpful for future tutorials. 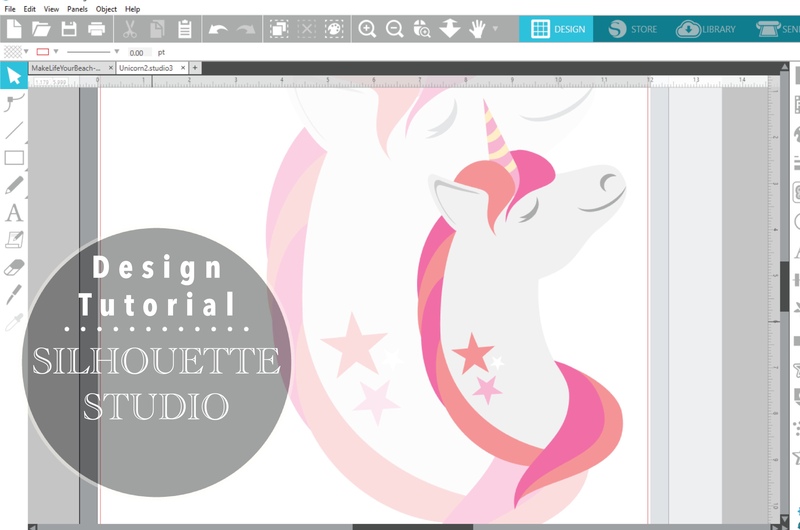 I am looking forward to making more tutorials for Silhouette Studio going forward. I upload them first to my YouTube channel, and after they publish successfully I share them here. If you’d like to be the first to see them, you can subscribe to my channel (Echoia on YouTube) directly! I hope this tutorial is easy to follow and is helpful! I love design, and translating methods from Illustrator into Silhouette Studio has been pretty fun. But what are you still doing reading? Go back up and watch the video! <3 Until next time, guys.